Geology Lead mining ground on the Copperthwaite Vein in The Richmond Cherts. 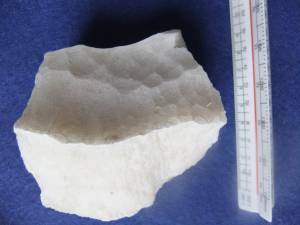 Record Name Calcite fragment from spoil heap. Record Description This calcite fragment which had been dug out by a mineral collector from the spoil heaps on Copperthwaite Allotment then broken and discarded, shows the dimpled surface from its original formation as being deposited from lime rich ground water to form the lining to a void in the limestone. 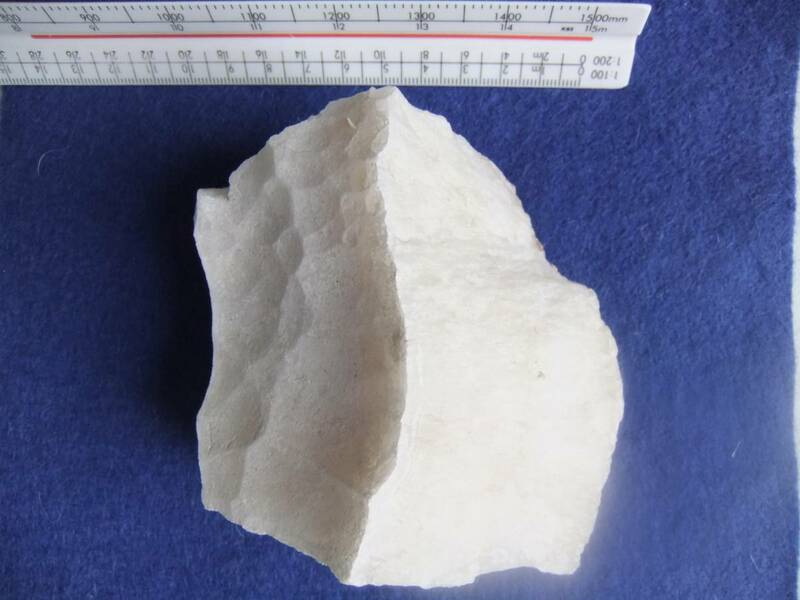 Calcite, CaCO3, is the main constituent of limestone.